Coffee is a right of passage for most people in the morning so instead of buying the newly married couple a coffee machine why not opt for a service that delivers coffee straight to their door? I personally think this is a really thoughtful subscription and allows them to sample coffee from all over the world. The perfect gift for any coffee drinking connoisseur! Now I know this might sound a little old fashioned but if the couple you're buying for like to entertain guests then this will go down a treat. Wooden serving boards are all the rage at the moment with their rustic feel and the personalised touch will make the gift all that more special. A well chosen vase looks beautiful in any home. I always find it's something I never buy for myself either! If you know the couple relatively well and have seen how they've decorated their home it shouldn't be too hard to find something that's perfect for them. I find IKEA is a good bet for something stylish and reasonably priced however most interior design stores will have something similar for a decent price too! 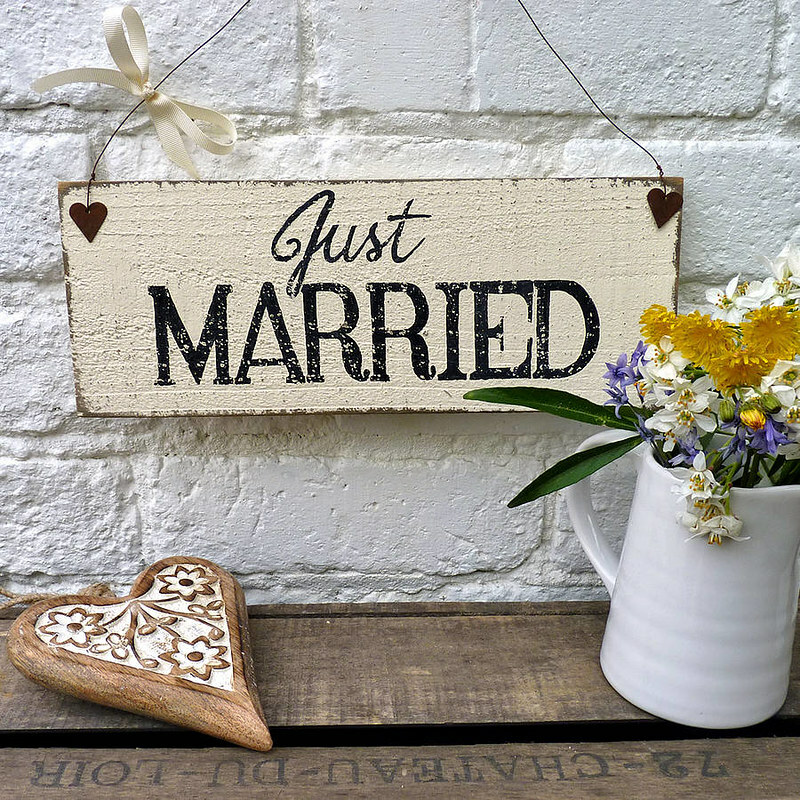 Every home has a scatter cushion, so why not add a lovely personalised one to the newlyweds collection? You can buy handmade cushions with the couples initials on and also the date they got married... How sweet! The couple are bound to have a favourite picture form their special day that they'd like to frame, so why not buy them a silver frame to put it in? I find silver is a pretty neutral colour and goes well with most home decor! This is possibly one of my favourite wedding gift ideas as it's something the couple can personalise and add to themselves. They can pop in all of the things from their special day including place cards, pressed flowers and pictures. Not on the Highstreet do some really lovely books or alternatively, have a little nosy round your local stationary shops. They're bound to have something that's just right! Plants are lovely gifts and are so often overlooked! But I personally think they're perfect, especially for a married couple who have just moved into a new home. Why not get them a baby apple tree or a cherry tree for their garden? The tree can grow with them and will be a beautiful reminder of their special day. You could always get them a little plaque to go with it with a date of their wedding and their names engraved. Wedding gifts are always a little tricky but my advice is to think outside of the box. You don't have to spend a fortune to get a couple something they can cherish for years to come. If you're really still struggling double check that the couple haven't registered with a company for a wedding list. Or alternatively, they may have made it doubly easy and requested money to go towards their honeymoon! I usually find this information is on the wedding invite so make sure you give it a good read! Have you got any wedding gift ideas? If so I'd love to hear about them!